We are having a great time in Denmark, although Dane has a bit of a cold. We have been relaxing and visiting! Of course, our time has been filled with eating, visiting, playing games... and a little bit of crafting! 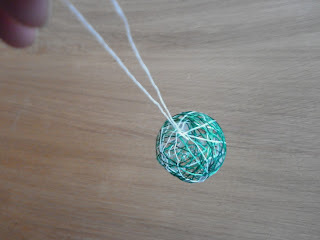 To help decorate our tree this year, we have been making some string ornaments. The process is quite simple. You need some string. (We used odds and ends of some yarn and embroidery floss). 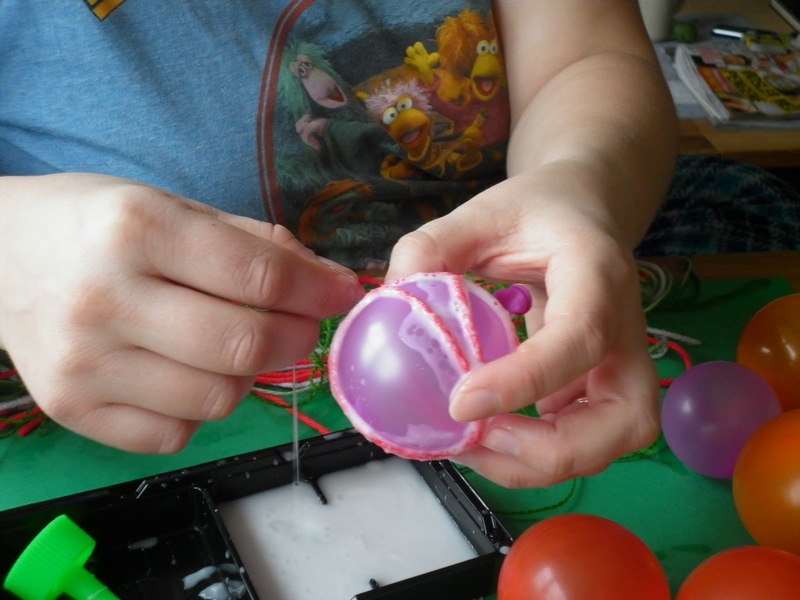 You will also need some balloons (we used small water balloons inflated with air) and some glue. (We diluted ours with some water). Cut the string into various lengths. 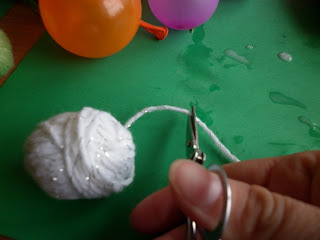 We didn't measure ours, but you want them long enough to fit around your balloons a few times, but not so long that they will knot up on you when you wrap them. 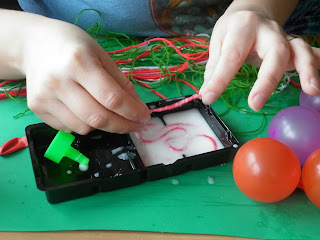 You will want to prepare all of your supplies before you get started, as your hands will get quite sticky in the process. 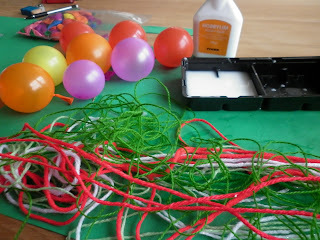 So, cut a pile of string and blow up a bunch of balloons. Wrap the string around a balloon. Add many different pieces of string in a variety of directions. 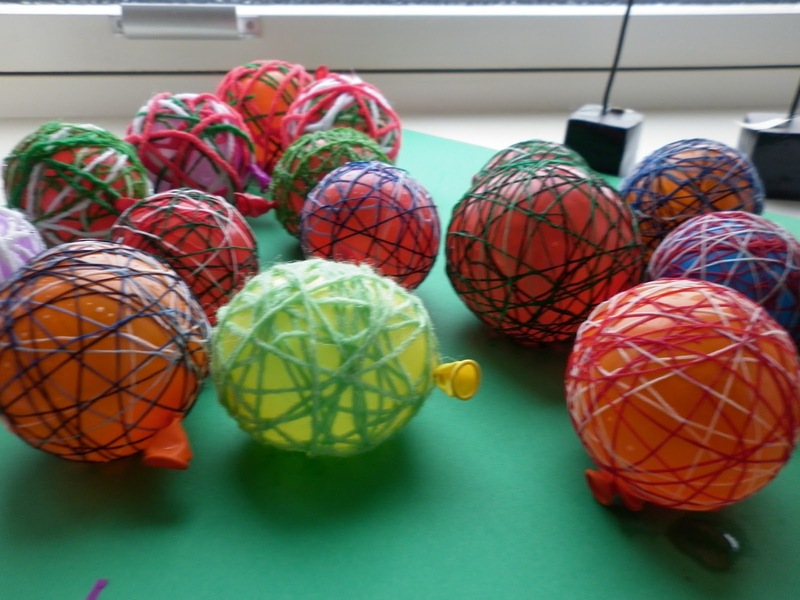 When you are satisfied with the number of strings and colors, place your ornament in a safe place to dry completely. 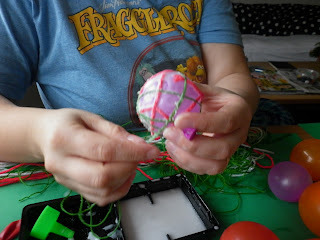 It may take drying overnight if you used a thicker yarn, if you use a thin thread, it will dry quicker. Repeat the process as many times as you would like, placing them in a safe place to dry. When you are certain that the string/glue has dried completely, pop the balloon and remove it. Add a string or ornament hanger and voila! Lovely string ornaments to hang on your tree! You can also decorate these up with some glitter if you so desire. I forgot about these. 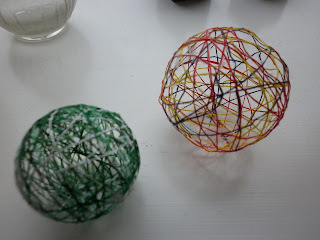 We made these when I was a kid. 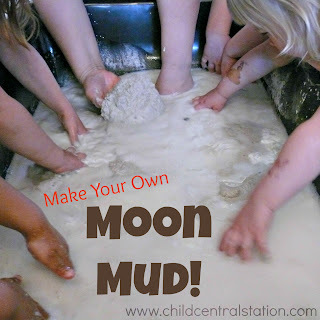 I am going to have kids make some this weekend! thanks for sharing! I love these! I'm pinning for next year!